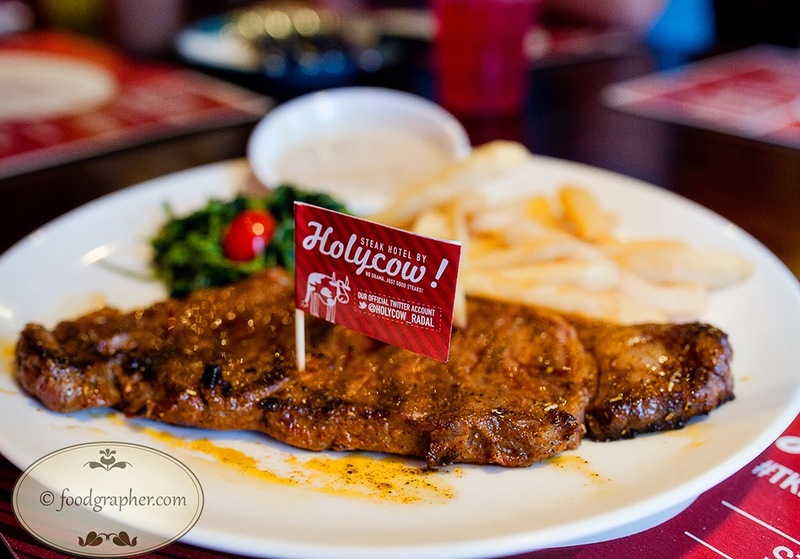 Holycow is a popular Steak-House in Jakarta, and now it's opening it's first branch in Surabaya. 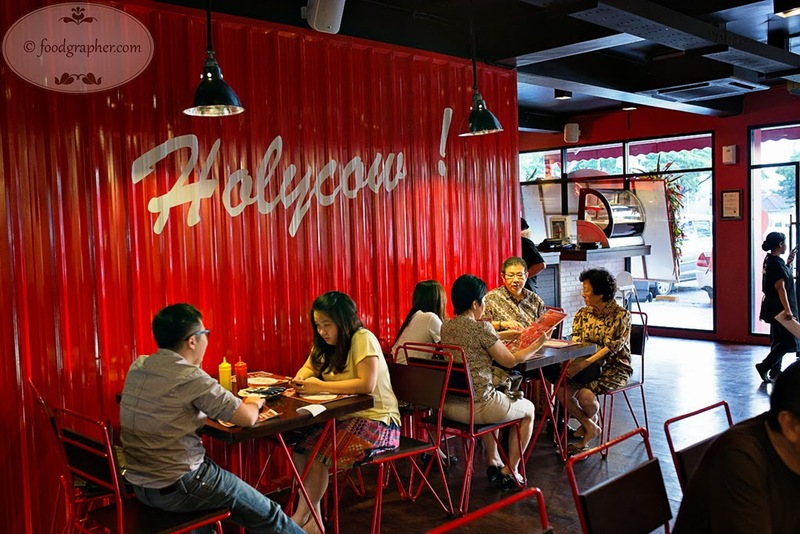 Upon hearing of Holycow new restaurant, I googled it for a while, and ended up noticing that there's actually two Holycow restaurants, and both are equally famous. 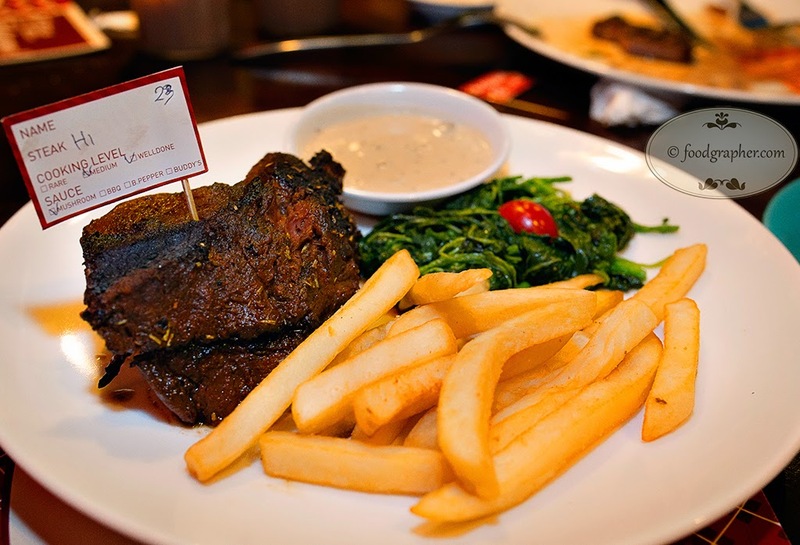 The first one is Holycow Steak Hotel and the other one is Holycow by Chef Afit. This restaurant is a branch of the former. Ternyata kedua Holycow di atas awalnya adalah rekanan, yang pada akhirnya menemui ketidakcocokan dan akhirnya masing-masing membuka cabang sendiri. 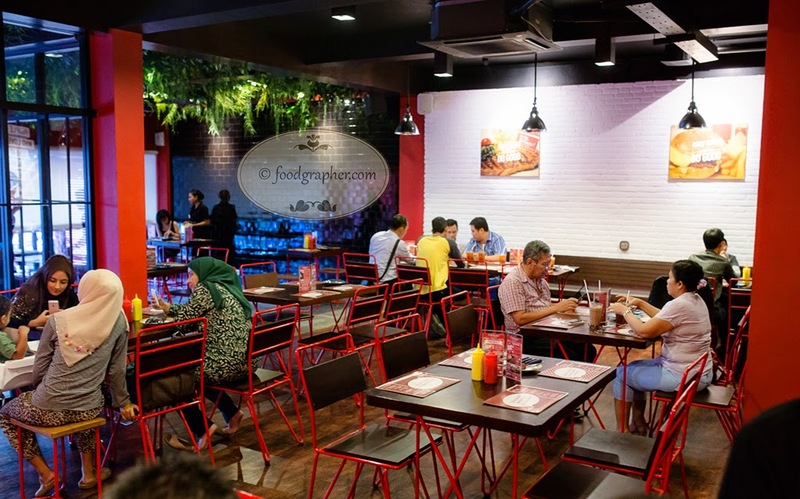 Berhubung berasal dari satu resto, keduanya menurut blogger Jakarta ini thefoodgazete, memiliki kemiripian rasa, dengan pembeda di Steak Holycow Steak Hotel lebih sering dimasak dengan sedikit charred / hangus, yang untuk sebagian orang menambah rasa. Turns out both establishment started from one partnership, that ended up splitting to the two restaurants that we know today. 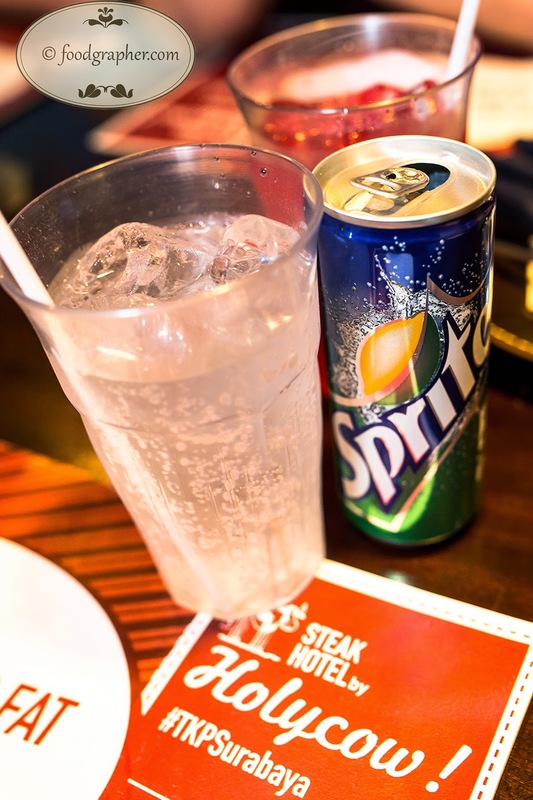 Since they come from the same restaurant, there's many similarities between the two. 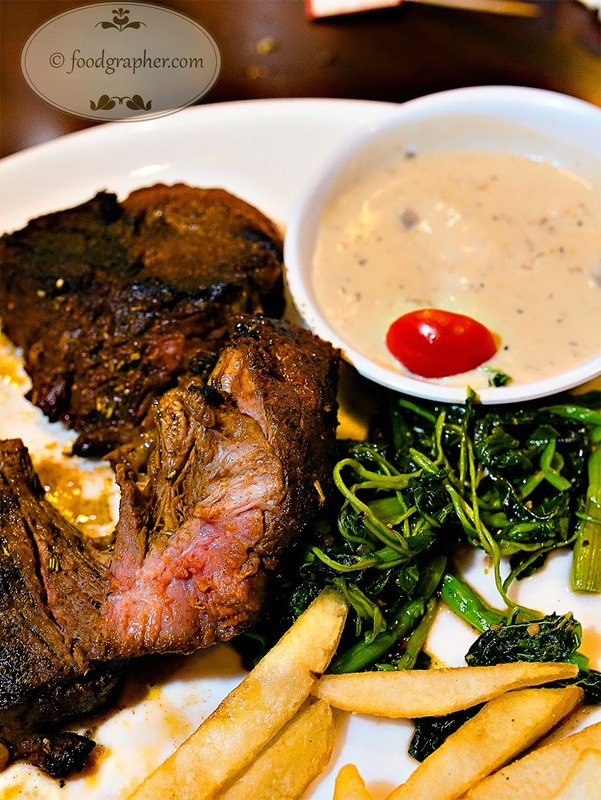 Which a blogger in Jakarta thefoodgazete mention in his blog, that the notable different is the cooking method, the Steak Hotel ones had a distinct charring, which adds to taste depth for those who like them. Menu Wagyu Sirloin ini adalah yang menu paling premium yang dipesan hari itu, dan dari segi rasa memang yang ini paling enak. Menggunakan Wagyu Beef jadi rasa steaknya lebih empuk daripada yang lain. This Wagyu Sirloin is the priciest dish we ordered on that day, and it's the tastiest amongst other. Since Wagyu Beef is used, compared to the regular ones, it's more tender and succulent. 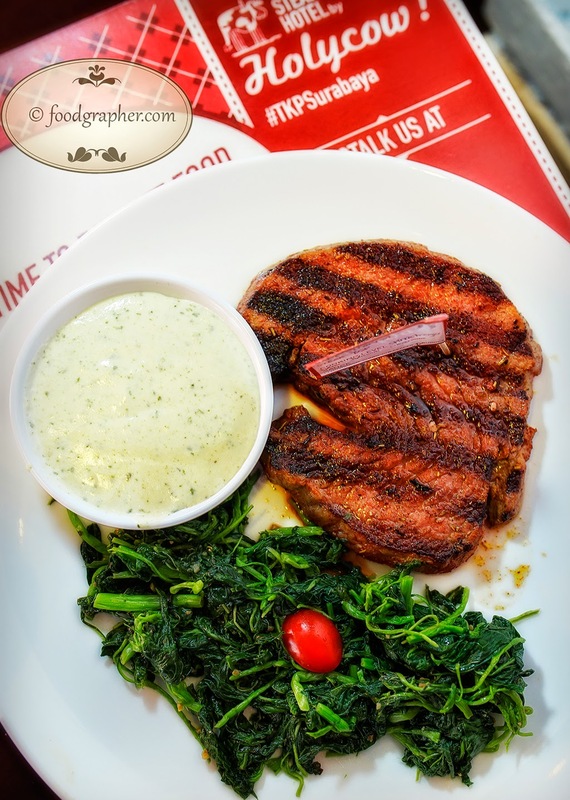 Holysteak 1 ini salah satu menu besar, dengan berat 350 gram. 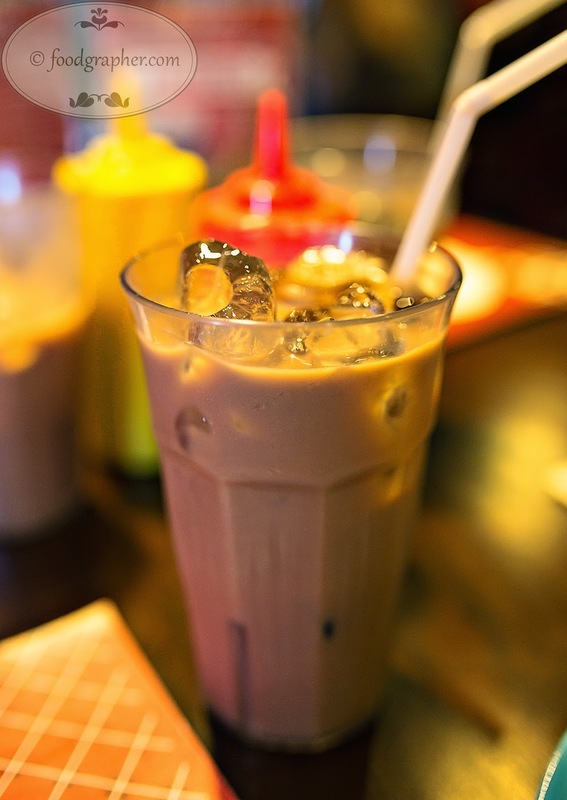 Salah satu ciri masakan di Holycow ini adalah bagian luarnya charred, sedangkan di dalam tingkat kematangannya bisa sesuai dengan permintaan, yang di sini tingkat kematangan medium well. Walau porsinya besar, tapi sedikit keras. 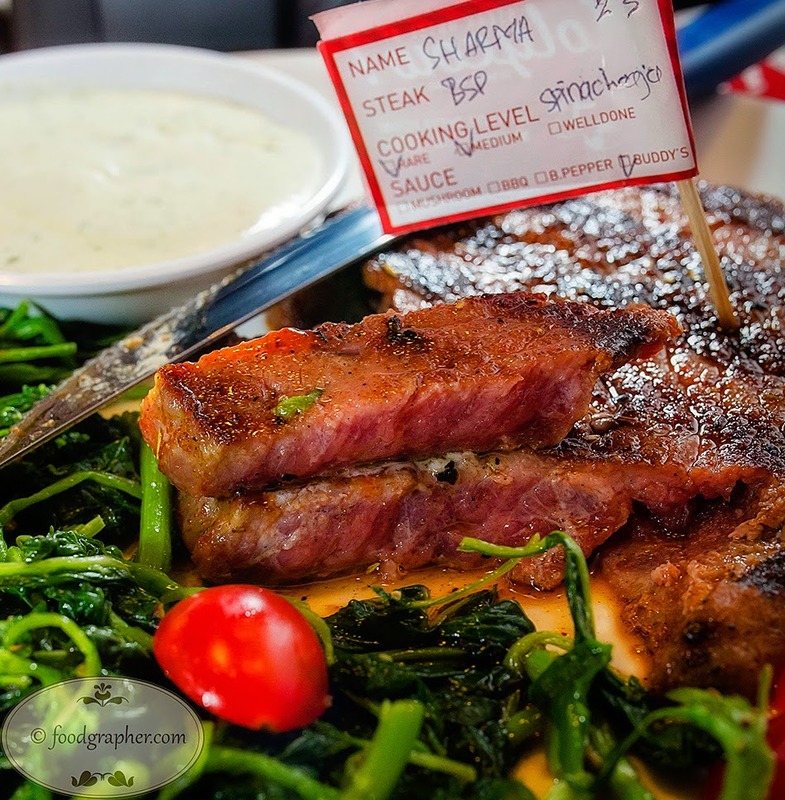 Holysteak 1 is one of the big portioned dish we tried, weighing in at 350 gram. One of the trait of Holycow grilling is the charred outside whilst the inside is cooked as requested, in this case it's medium well. While we can compliment the size, the meat itself is a bit tough. 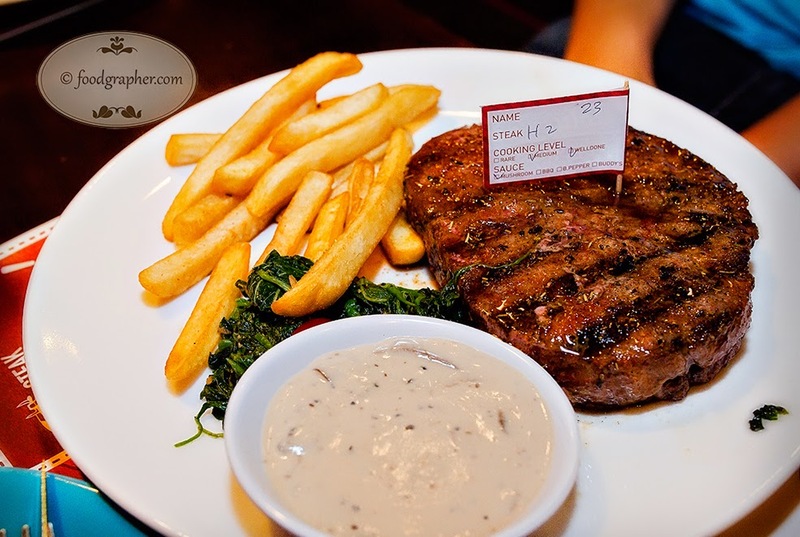 Yang saya pesan sendiri adalah Buddy Steak ini, dengan tingkat kematangan medium rare dan masih banyak bagian yang merah. Usually when I ordered medium rare, the steak that comes out are medium or even medium well, this time it's spot on medium rare, which makes it a bit bloodier that what I'd like. So be sure to order the way you really like instead of compensating like I did.